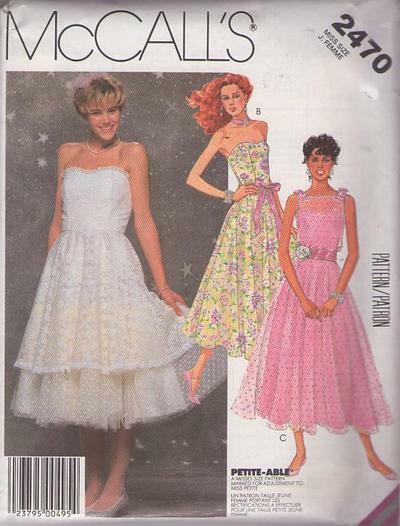 1986, 80s Prom, Retro Party Clothing Patterns - 1986 MISSES' DRESSES AND SASH: Strapless, back zippered dress A, B or C with fitted and lined bodice has boning in side seams, full circle skirt and attached slip. 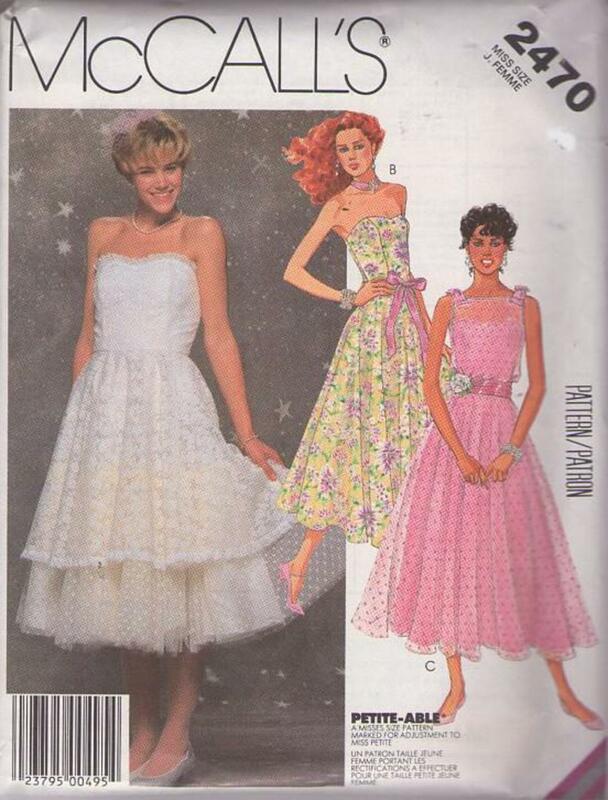 Dress A has underlined bodice, shorter length skirt and two layers of ruffles attached to slip; upper edge of bodice and skirt hemline are trimmed with lace ruffling. Dress B has a ribbon sash. Dress C with sheer, sleeveless over-bodice has bow trimmed shoulders, waistline pleats, sheer over-skirt and tie sash. Reminds me of Frenchie's Beauty School Drop Out prom dress from Grease!